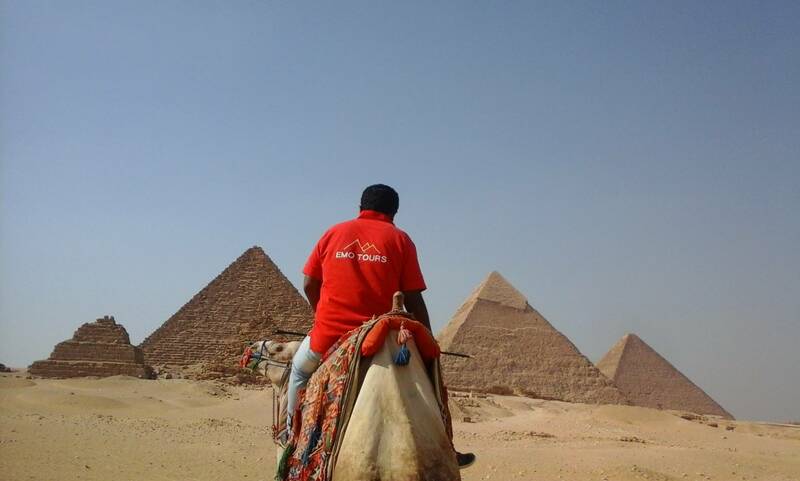 At 8:00 am or earlier Pickup from Cairo international airport by our Expert Tour guide who will greet you with a sign shows our guest name on it then transfer in Private A/C Vehicle to Start your Cairo layover Tours Visit Giza Pyramids and Sphinx where you can see 9 pyramids at that sight, the most important one is the great pyramid of the king Cheops which considered as the highest pyramid have ever built in Egypt and one of the seven wonders of ancient Egypt, also you can see 9 pyramids at that area, Sphinx which represents king Kefren that his head as head of a human being and a body of lion’s animal, the valley kings which specialized for the high priest to make The mummification process of the king. 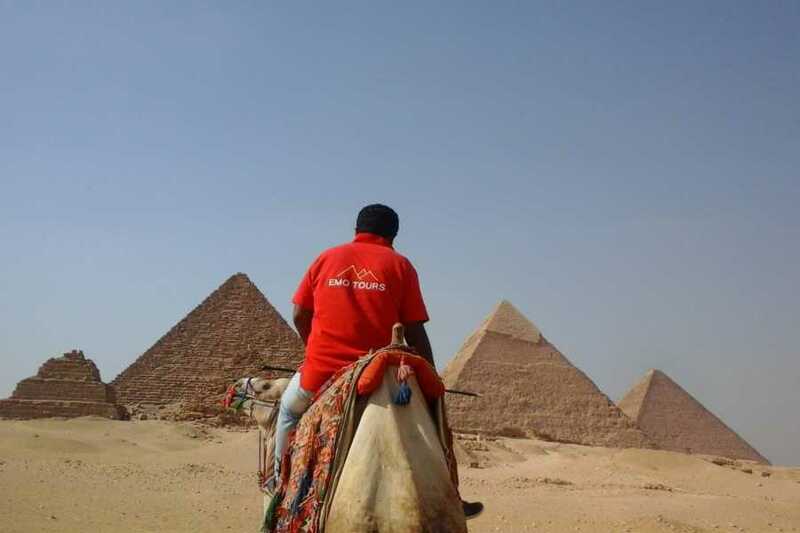 Then Continue your Cairo Layover Tours to Visit Islamic Cairo tour which including El Sultan Hassan Mosque is a massive Mamluk era mosque and madrassa located near the Citadel in Cairo. Then Continue your Cairo Layover Tours to Visit El Rafaai Mosque named in English the Royal Mosque, is located in Cairo, Egypt, in Midan al-Qal'a, adjacent to the Cairo Citadel. The building is located opposite the Mosque-Madrassa of Sultan Hassan, which dates from around 1361, and was architecturally conceived as a complement to the older structure. constructed around the same time. Then Continue your Cairo Layover Tours to Visit Ibn Tulun mosque is located in Cairo, Egypt. It is arguably the oldest mosque in the city surviving in its original form, and is the largest mosque in Cairo in terms of land area. Then Continue your Cairo Layover Tours to Visit Alazhar Mosque is a mosque in Islamic Cairo in Egypt. Al-Mu'izz li-Din Allah of the Fatimid Caliphate commissioned its construction for the newly established capital city in 970. Its name is usually thought to allude to the Islamic prophet Muhammad's daughter Fatimah, a revered figure in Islam who was given the title az-Zahrā′ ("the shining or resplendent one"). It was the first mosque established in Cairo, a city that has since gained the nickname "the City of a Thousand Minarets. Then you will end your tour with Khan Elkhalili Bazar which was a market place for the foreigners coming from many different places to sell their own products on it during Islamic empires time here in Egypt, but right now it become a touristic place which has a lot of shops selling the Egyptian souvenirs and also has a lot of coffee shops where you can take a rest on it after that lovely tour which serving Shisha. Also this area has the most unique mosques as El Azhar mosque and El Hussen mosque.